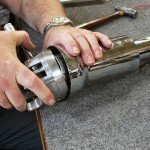 Solutions all hot rodders should know. 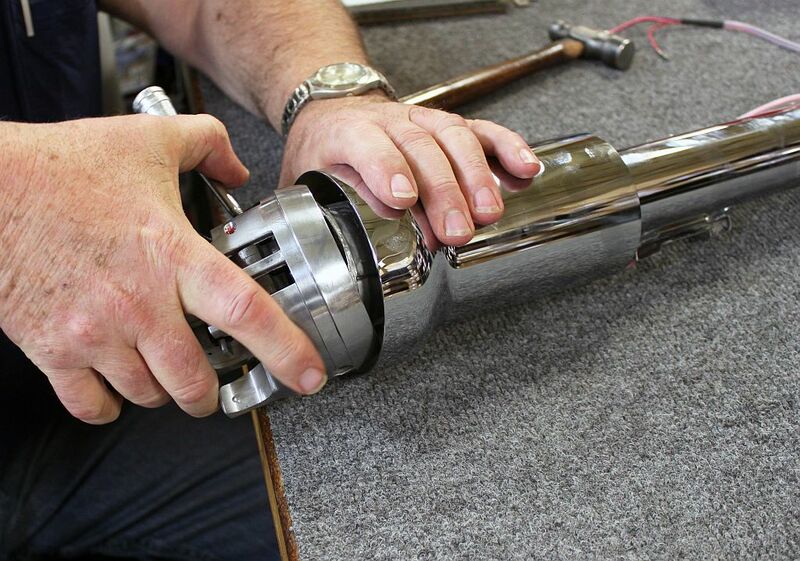 Many consider type CJ Jeeps, those in production from 1976 to ’86 susceptible to internal steering column ailments, particularly the open-top models where the column could be exposed to rain, snow, dirt and dust which hastens wear. The wear is not reflected in the steering column’s ability to turn the wheels—instead it’s conspicuous by looseness in up-and-down movement and also back-and-forth within the steering column. Many Jeeps from this era feature a steering tilt mechanism. 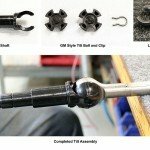 The significance of efficient steering tilt was brought to prominence by Michigan steering specialists ididit whose history began in the mid-nineteen-eighties. 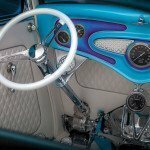 At that time Street Rods were the foundation of their customer base and their multi-angle steering tilt was born of necessity. 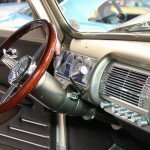 The chief annoyance among hot rodders was the awkward positioning of the steering column that was installed at a near vertical angle and never conducive to comfortable driving. This inconvenience spawned a succession of multi-angle steering tilt arrangements that increased the angle of articulation of the steering wheel and corrected the impediment. 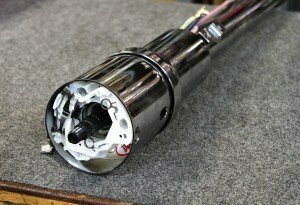 But for Jeep CJ owners, over time the tilt shaft assembly, which was offered originally as an option, became sloppy at the head of the column. 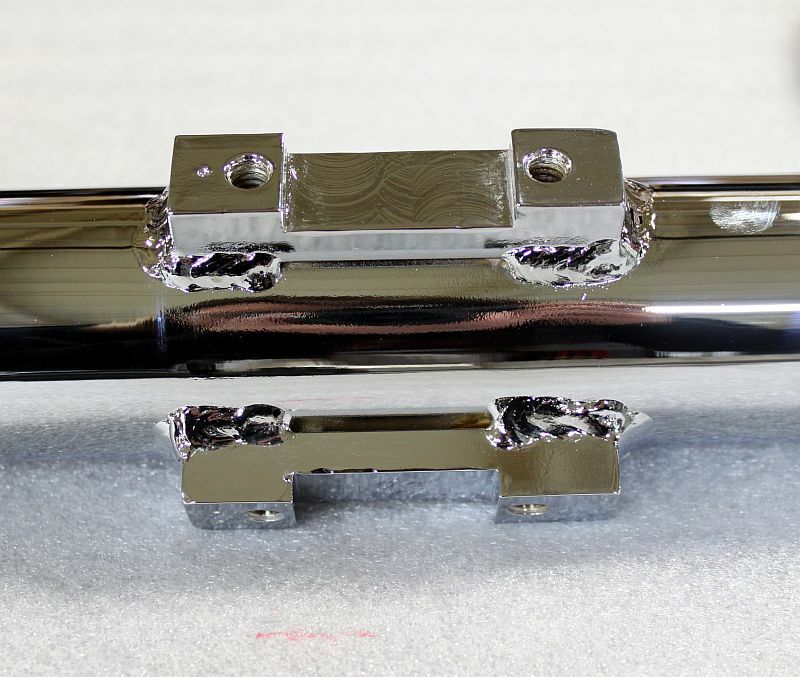 The arrangement incorporates two aluminum castings and two shafts, an upper and a lower, both with forked ends. 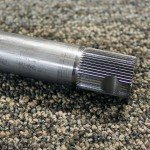 The ends are positioned 90-degrees apart and the assembly is completed with a grooved metal ball that is manufactured in two halves. 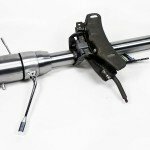 Of course, the advantage of having access to a replacement steering column with efficient tilt mechanism not only rectifies potential wear troubles but also allows easier access and exit for the fuller figure. 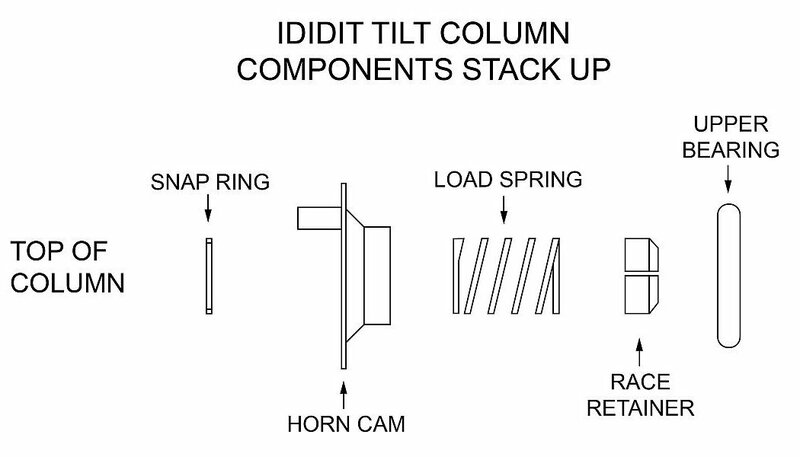 In ididit’s latest design, eight positions of tilt are provided—three above the center position, which accounts for 15 degrees of movement and four below allowing a further 20 degrees. 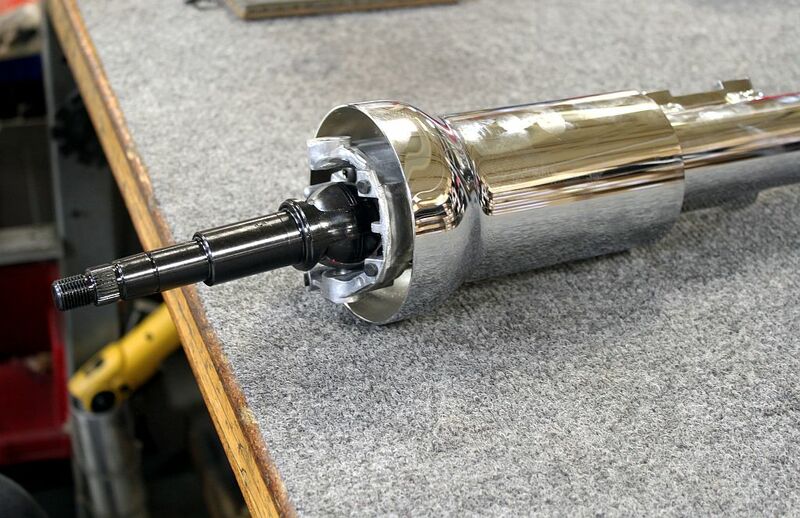 A further common disorder within the Jeep steering column is reflected in looseness that develops between the lower aluminum casting and its attachment to the lower 16-gauge tubular body; that is the outer sleeve that extends downward toward the firewall. The main reason for this defect is a rather feeble attachment base between the two original components. 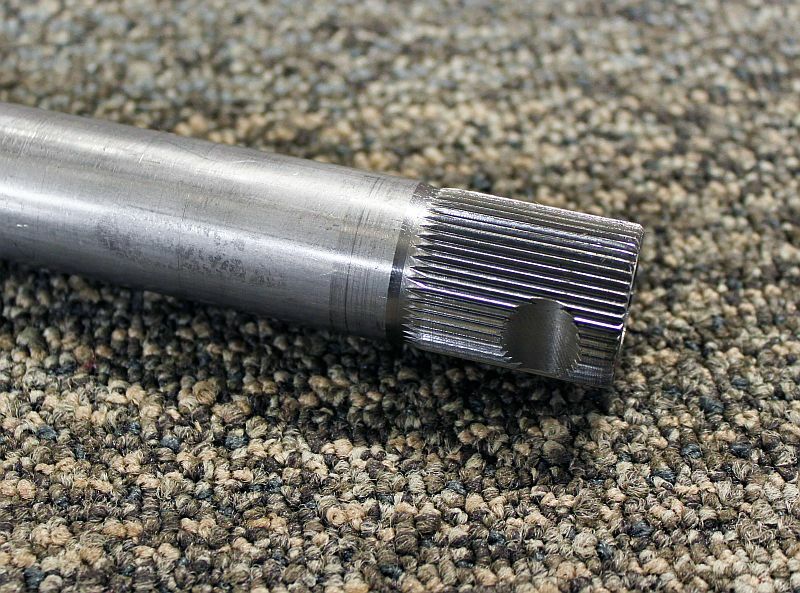 Ididit corrects the deficiency by introducing a robust 1/2-inch-thick metal foundation and secures it to the head of the lower tubular body with a full 360-degree weld. Jeep CJ5 and CJ7 steering column components spread out before us. 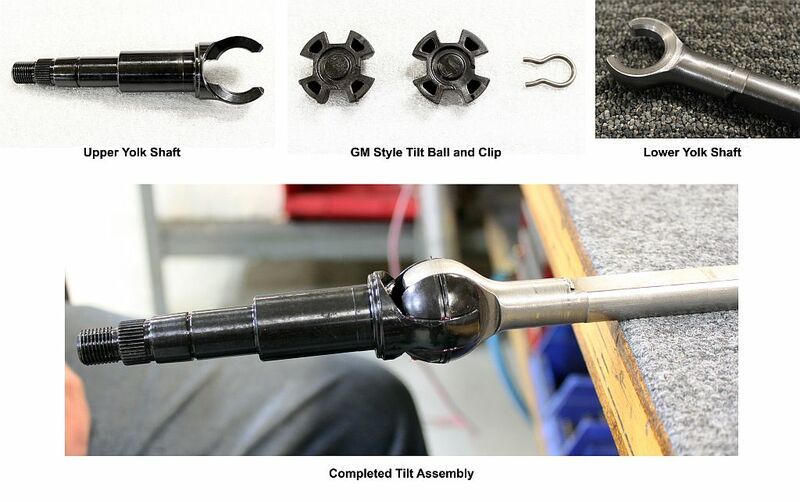 These include the tilt arrangement and entire shaft assembly with two castings; the upper one houses the ignition switch, note tumbler and key. Also, in due course the three original steering column bearings, two at the top and one at the bottom, suffer from the effects of wear. 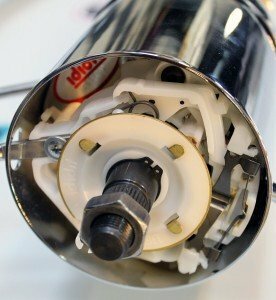 Interestingly, ididit’s replacement steering column replaces the top two but substitutes a bushing at the lower end. Machined from Delrin and with a Teflon™ impregnated O-ring around its inner diameter, it lives longer. The turn signals and their attendant cancelling mechanism take on a reassuringly traditional form. 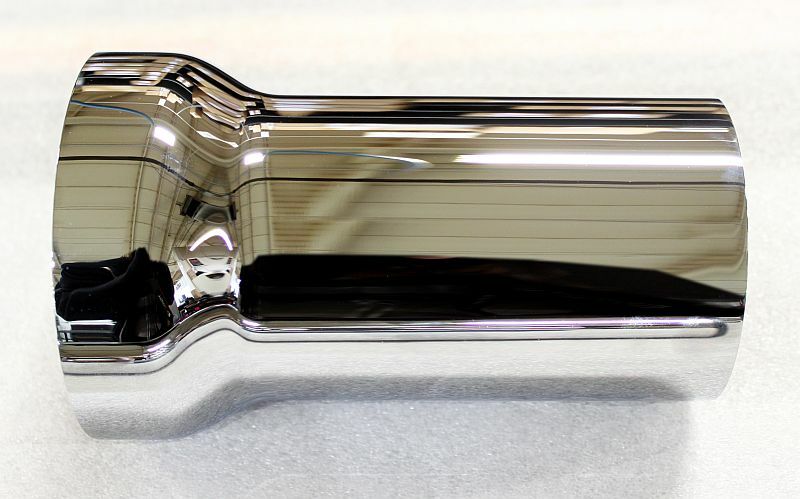 Common to all GM passenger car steering columns from 1969 through ’94, the turn signals are cancelled by one of two cam lobes on the injection-molded dish. These lobes, positioned about 1/2in apart, make contact with the canceling springs—which act as the turn-signal switch—and as a lobe rolls past a spring, the turn signal function is cancelled. 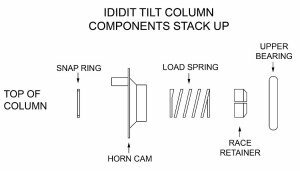 At the top of the column a load spring maintains pressure on the bearing, race retainer and horn cam also known as a canceling cam. 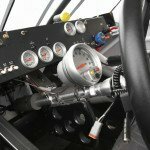 When installing the steering column assembly, the tube protruding from the horn cam should be placed in the 10:30 position. The centering spring and centering apparatus for the turn signal is located on a conventional plastic mechanism consisting of two parts—a top half that pivots and a bottom half that remains stationary. 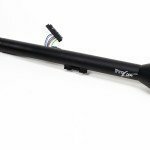 To install the steering column properly, simply ensure that the white plastic tube that protrudes from the horn cam is situated at the 10:30 position—half way between 9 and 12 o’clock. 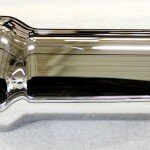 A standard off-the-shelf column with eight-position steering tilt, ididit presents the item in bare metal or finished in chromium plate or a black powder coating. Accepting the stock CJ steering wheel and featuring a 1in x 48-spline output shaft, the unit is a direct replacement that installs in the stock location, using the original dash and floor mountings. On the left, two flat detent centering springs reside, one placed horizontally the other vertically, that hold the turn-signal stalk at mid travel. On the right two coiled springs between which two cam lobes operate. Turn signal function is cancelled as a cam lobe rolls past a spring loop. To complete the assembly, the manufacturer includes an ignition and relay pack—that houses one 40amp and two 70amp relays—self-cancelling turn signals, 4-way emergency flashers and a 4-1/4in wiring plug. In comparison to the original equipment, this modern ignition and relay technology gives a far cleaner appearance, allowing these items to be concealed within the dash region. 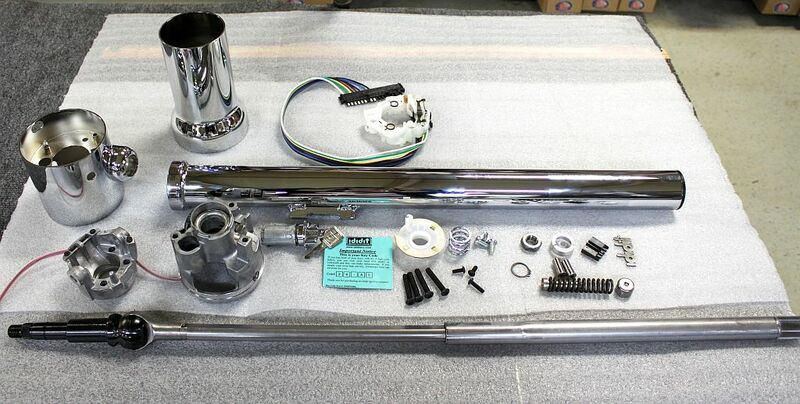 For hot rodders in general and Jeep owners in particular who are seeking durable and well-engineered components, installing this steering column is a fairly simple process. Nonetheless, upon completion they could say with justifiable pride “ididit”! 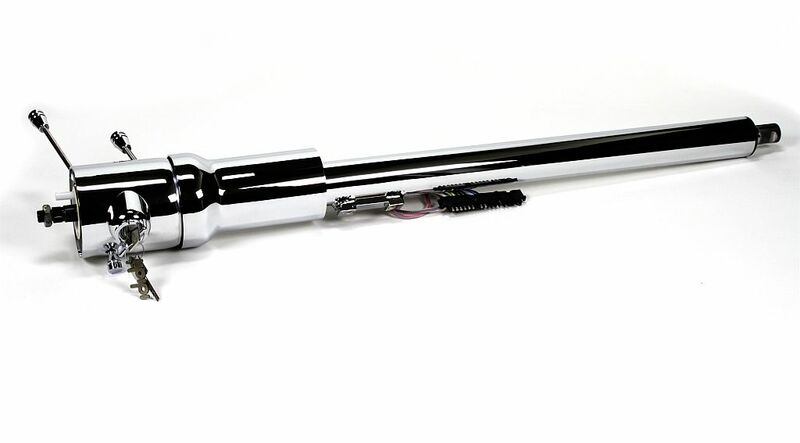 This lower casting, which connects to an upper casting, unites with the top of the lower tubular body and secures it to the upper tubular sleeve with its beautifully spun enlarged opening. The pivot bosses of the upper and lower castings flank the pivot ball and share a common axis, which provides tilt back and forth. Pivotal role: Perhaps the most revealing view of all is the pivot ball mechanism. Between the two ball halves is a wire clip that makes contact with the shaft, allowing a ground current to travel through the column that activates the horn. Welded-on dash mounting brackets align with the original attachment locations. Floor mounting is also consistent with original arrangement. This spun cone is shaped specifically to integrate the new column with the Jeep dash. 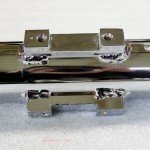 The manufacturer provides 8-position tilt adjustment, arcing through a total travel of 35 degrees. 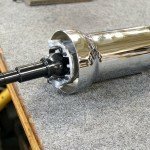 The replacement column with tilting mechanism is a direct-replacement unit that installs in the stock location, using the original dash and floor mountings and 1in x 48-spline output shaft.